Storytelling weekend is July 6-9 in Coventry Village in Cleveland Heights. 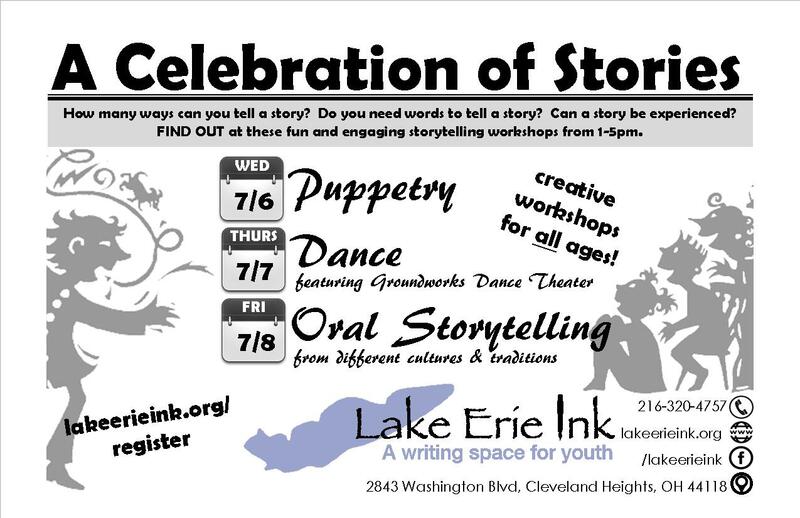 Lake Erie Ink: a writing space for youth will be working with some of the best storytelling groups throughout Cleveland to host a series of events that celebrate the story in all of us. First, a Celebration of Stories is a great family event that will explore storytelling in unique ways across three days, including through dance with the experts at Groundworks Dance Theater on Wednesday 7/6, through puppetry on Thursday 7/7, and through oral traditions from different cultures on Friday 7/8. These interactive workshops take place at Lake Erie Ink from 1-5pm. 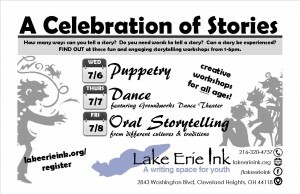 Then together with Literary Cleveland, Lake Erie Ink will host storytelling workshops for adults and teens in the evenings. 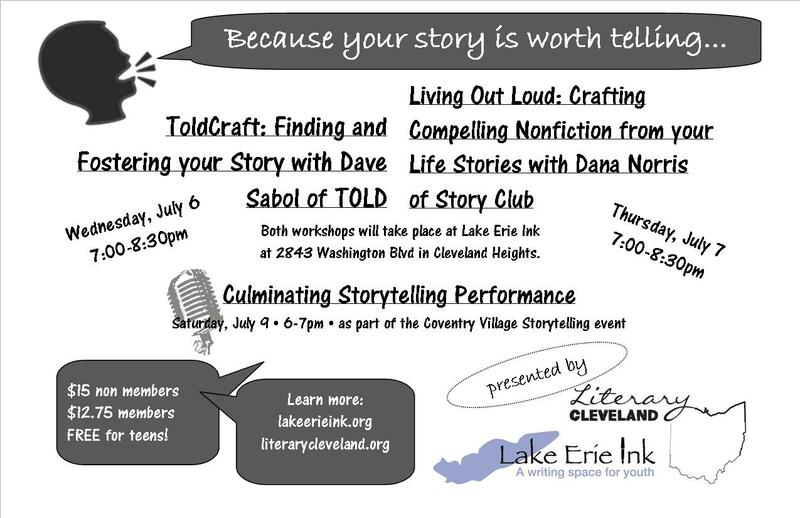 Wednesday 7/6, Dave Sabol of TOLD presents ToldCraft: Finding and Fostering your Story, and Thursday 7/7 Dana Norris of Storyclub presents Living Out Loud: Crafting Compelling Nonfiction from your Life Stories. Both workshops are open to teens and adults and take place at 7pm at Lake Erie Ink’s creative space. For more information, visit lakeerieink.org/register or literarycleveland.org.